"Power Spray is not only the ideal styling companion it will be your best friend. With innovative AquaLastik™ technology it offers stylists (and consumers) the ability to restyle with softness and hold. Brush it out and change the style, or re-apply without feeling like you’re caking-on more product; mist lightly with water and re-style what you’ve already applied – Power Spray’s restyleability never leaves you with a dirty messy feeling, but a freshly applied, newly-styled look and finish that’s soft to the touch. The innovation of AquaLastik™ technology gives clients the ultimate in long lasting control with shine, strength and protection." "The fine mist aerosol offers even distribution, repels humidity and conquers frizz and flyaways. Hair looks and feels natural and brilliantly shiny, and Power Spray’s superior holding power clocks in at an impressive Level 8. Need more hold? Turn up the power! When applied in layers, Power Spray offers even more hold—an ultra-firm Level 10 on the style retention scale, making it a truly indispensable style multi-tasker! Power Spray is a true “layerable” spray, increasing hold, not hardness. 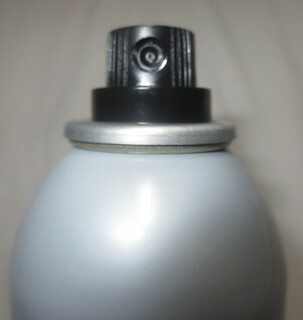 What’s more, Power Spray is packaged to chic perfection in its sleek, streamlined, modern aluminum can." The nozzle on this hair spray is quite good, as you get a nice even spray. I like to use Joico's Power Spray as an all over finishing spray, or targeted on any fly-aways to keep them in place. This formula works very well to help my hair stay flawless, even in humidity. I straightened my hair the other day, and finished off my look with Joico's Power Spray. I went out to run some errands, and it started raining, which is normally a sign that my hair is about to pouf up. However, I was really surprised to find my hair still straight, with no frizz at the end of the day! This hair spray has a very light scent that isn't at all overpowering. This formula from Joico allows for restyleability for up to 72 hours, and dries very quickly. This spray doesn't leave my hair feeling crunchy, and feels very light on my hair. This hairspray has a Level 8 hold, but it can go up to a full Level 10 hold by applying it to each layer of your hair. Have you tried Joico's Power Spray before? What is your go-to hairspray for a firm hold without any crunchiness? Id like to try a joico spray, Ive only ever used drugstore stuff like loreal and pantene! Thank you so much for your sweet comments in my blog :) following too via GFC and Bloglovin! Thank you! :) I love their K-Pak conditioner, I haven't tried too much else from them though!